Three women are likely to be in the new Cabinet that will be in sworn in today. They are Dr Jiko Luveni (previously Minister for Social Welfare, Women, and Poverty Alleviation) Mereseini Vuniwaqa (former permanent secretary for Justice) and Lorna Eden ( well known tourist industry personality). See full story on Mrs Eden and Mrs Vuniwaqa on page 4. At 2pm today, the new Cabinet will be sworn in by President Ratu Epeli Nailatikau. 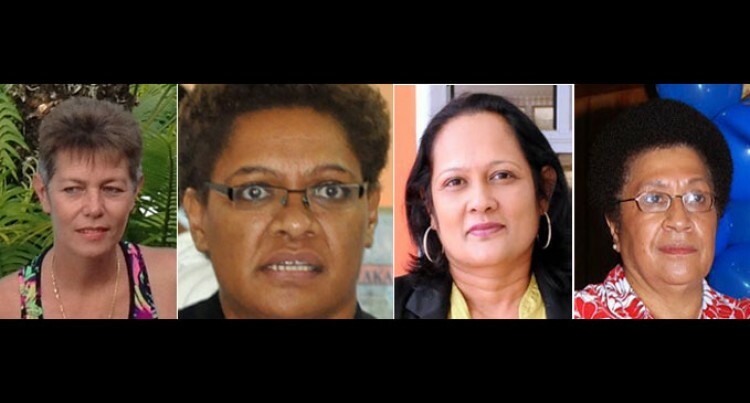 Other women in the FijiFirst list of MPs are former FBC radio announcer Veena Bhatnagar and educationist Rosy Akbar. The new Parliament will have eight women, the highest we have had in our parliamentary history. They include three from the Opposition, Ro Teimumu Kepa (SODELPA), Salote Radrodro (SODELPA) and Tupou Draunidalo (NFP). The women represent 16 per cent of Parliament’s composition. Regional parliaments average approximately 13.6 per cent women representation.